Trials and appeals of plaintiff personal injury and workers’ compensation claims; criminal Law and Criminal Defense; real estate transactions. Matthew Heinlen is an attorney with Capron & Avgerinos with an emphasis on personal injury law, workers’ compensation, and real estate transactions. 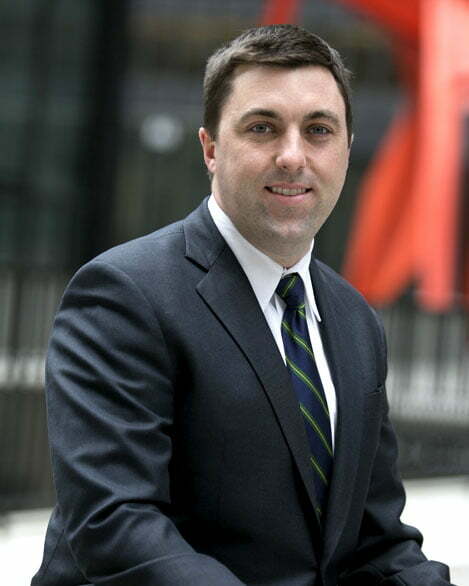 Matthew is an experienced trial lawyer having spent over seven years with the Cook County State’s Attorney’s office. During that time Matthew was part of the elite Special Prosecutions Unit of the Narcotics Bureau and was one of the primary prosecutors on the second racketeering case ever brought in Cook County. By the time he left the state’s attorney’s office, Matthew had prosecuted thousands of felony and misdemeanor cases and took over 100 cases to trial in front of juries and Circuit Court Judges throughout Cook County. Within six months of joining Capron & Avgerinos, Matthew tried his first civil jury trial, which resulted in a $3.8 million plaintiff verdict. Matthew knows that every lawyer promises the best outcome. What sets Matthew apart is his commitment to working with clients every step of the way to make sure they have a fierce advocate by their side guiding them through the maze of the legal system.